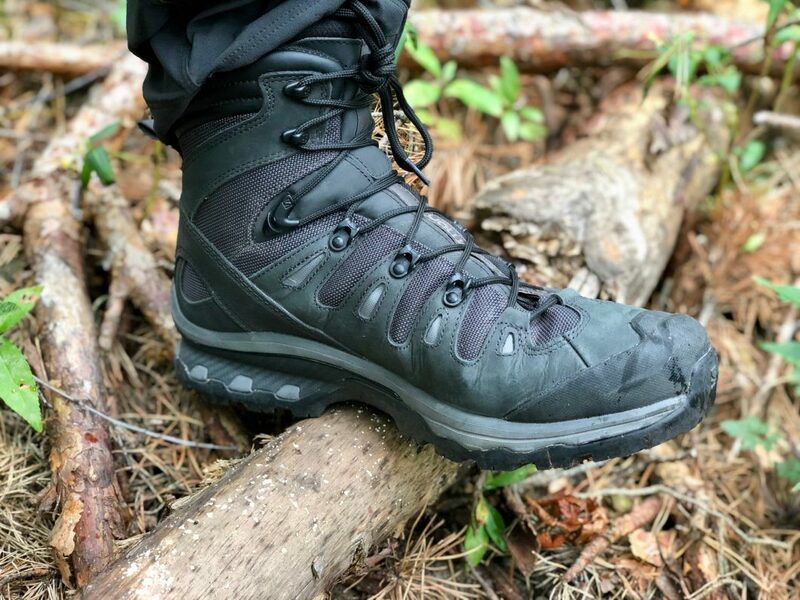 In the search for a stable hiking boot in the medium weight segment, one quickly notices that most of the comparative tests and top lists are currently led by one manufacturer. 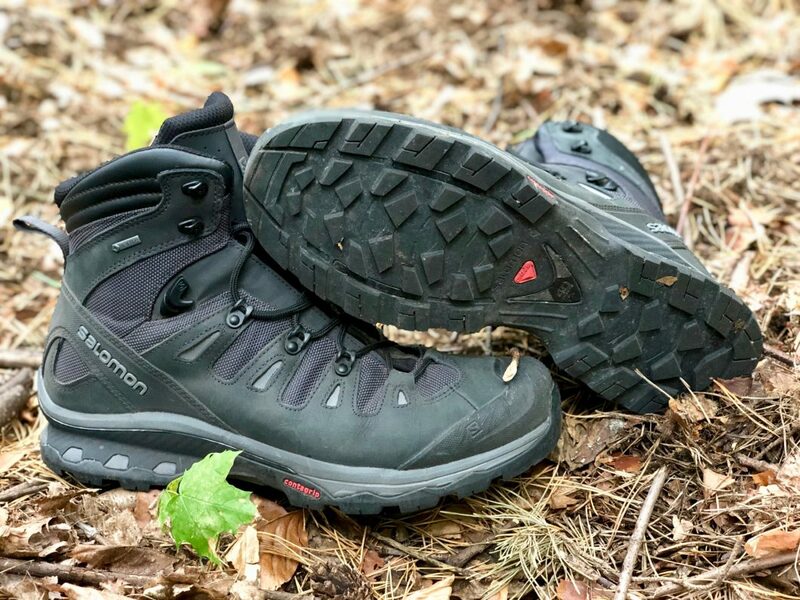 The French manufacturer Salomon has been a well-known name in running and trail running shoes for decades and has also successfully established itself in the hiking and trekking boot sector in recent years. 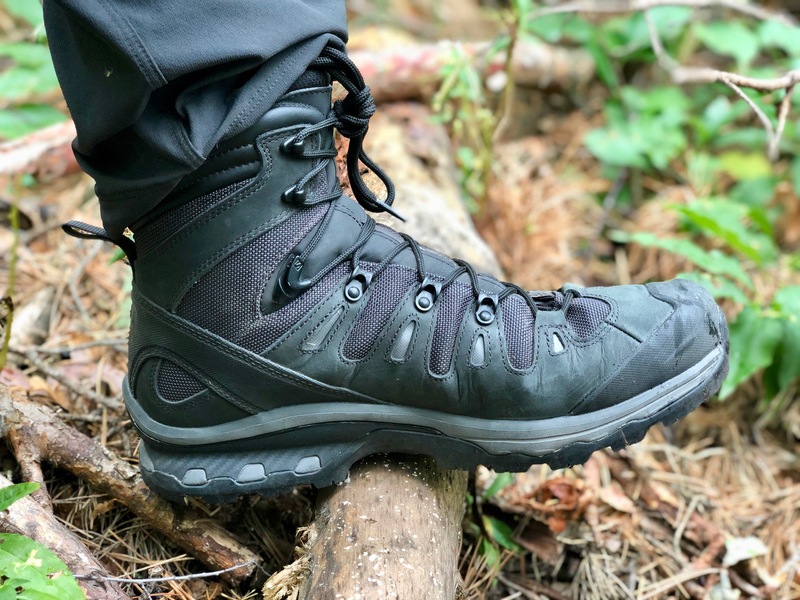 With the Quest 4D line Salomon offers a serious backpacking boot, which was released this year in the 3rd version – the Salomon Quest 4D 3 GTX. Since then, the model has dominated many best lists and reviews. What makes this model so popular? After a few tours I can say that I understand the hype. The Salomon Quest 4D 3 GTX sports an aggressive sole design. 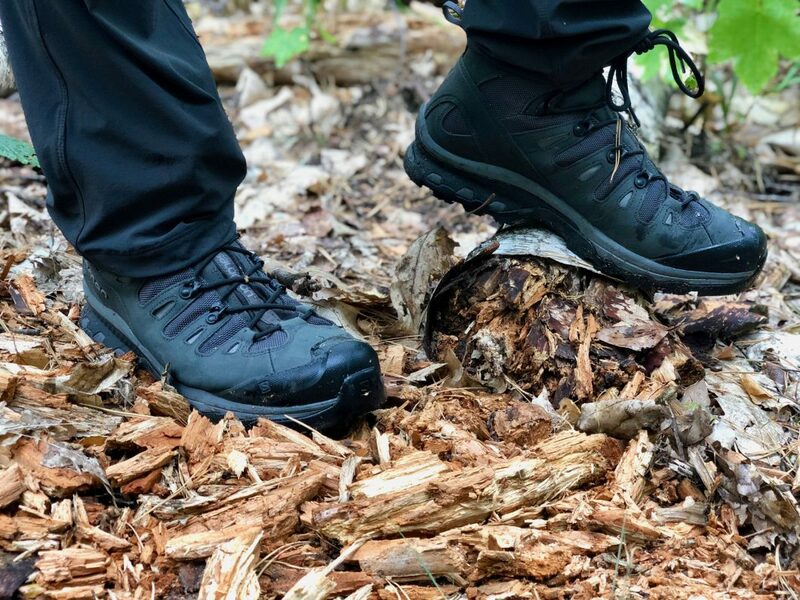 The shoes weigh 640g each and look like strong and massive hiking boots. 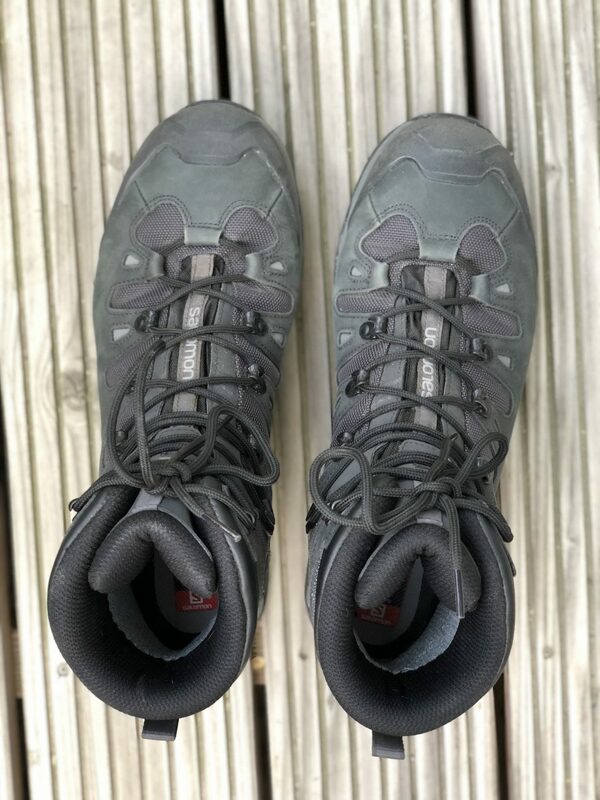 So these are by no means ultra light hiking boots, but are placed in the upper midfield in terms of weight. Nevertheless, they feel a lot lighter than my proven Hanwag Alaska GTX, which are also one category higher, but the Quest 4D still provide a similar level of stability. The design of the Salomon Quest 4d 3 GTX is characterized by leather and nylon mesh. Altogether Salomon relies on an aggressive look, which I really like. 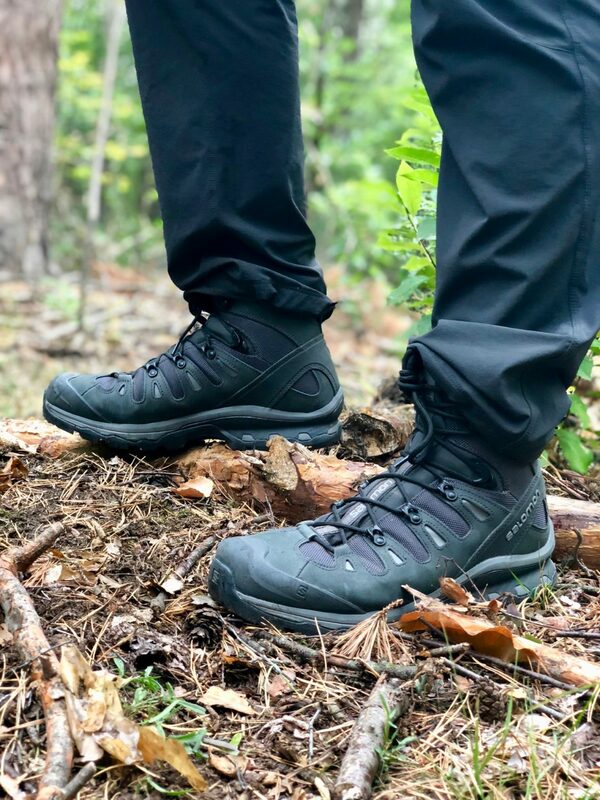 Instead of large leather surfaces like classic hiking boots, Salomon uses small suede surfaces with nylon mesh inserts, which gives the boots a modern, rugged look. 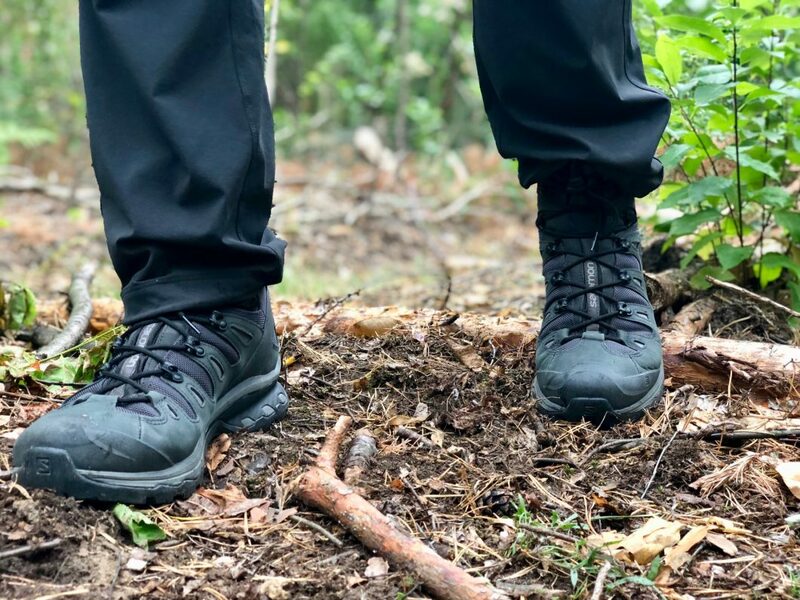 I don’t like the much too long shoelaces so much, I don’t know if they are intended as emergency rappelling aids – but they are easily replaced. But once you have the boots on your feet they feel wonderfully safe and by no means heavy. If the feeling of stability and firmness is important to you, you will love the Salomon Quest 4D 3 GTX. They don’t need any break-in time after unpacking and feel as comfortable as sneakers, which is probably due to Salomon’s trail running genes. The shaft and heel are bombproof and yet comfortable thanks to the generous padding. The toe box, on the other hand, offers plenty of room in all directions – provided you buy the right size ( for me 46 2/3 instead of 45 for street shoes!). The Salomon Quest 4D 3 GTX have, as the name suggests, a Goretex membrane to protect the wearer from all forms of wetness. My professional bathtub test confirms that these boots are completely waterproof. At the same time, the membrane is breathable so that it doesn’t get too hot and damp inside. In combination with good merino socks (my tip: Smartwool PhD Outdoor Light Socks) this is a dream setup. But how do the boots feel in the wilderness? I have to say – delightful. When running through rough terrain, the Quest 4D always give you a safe tread without weighing you down. 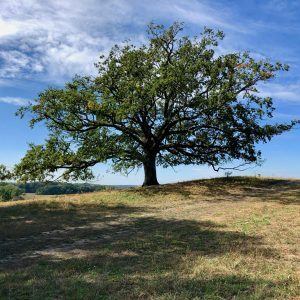 The aggressively shaped sole always provided sufficient grip during my trips – whether on sandy trails in Brandenburg, bumpy natural stone paths or simply densely overgrown forest ground, you always have the impression of keeping full control. I can hardly wait to leave the hiking path and plowing through scree and scrub with your boots is a real delight. 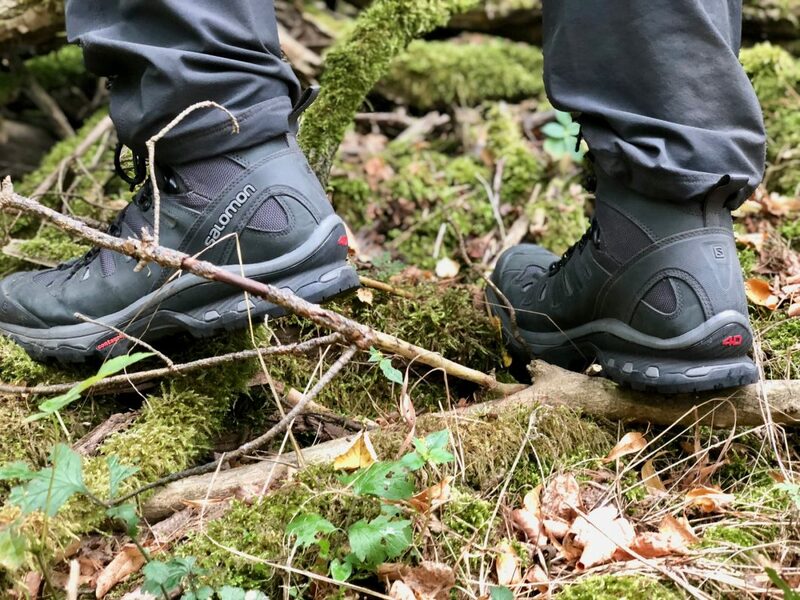 The Salomon Quest 4D 3 GTX is the perfect boot for those looking for a super-stable, good-looking boot that gives a secure feeling even on challenging terrain off the beaten track and with heavy luggage.